According to the Police Log of Sarasota, Florida, the elderly lady was doing her shopping when, upon returning to her car, she found four males in the act of stealing her vehicle. Uncharacteristically, she dropped her shopping bags and, standing in front of the vehicle to block their escape, drew her handgun, pointed it at the front windscreen and screamed at the top of her lungs, “I have a gun. I know how to use it. Get out of the car!” The four men didn’t wait to find out. They jumped out and ran like crazy in all directions. The lady, somewhat shaken, put the gun back in her bag, loaded her shopping bags into the back of the car and got into the driver’s seat. She was shaking so much that she could not get her key into the ignition. She tried and tried, and then she realized why. It was for the same reason she wondered why there was a football, a Frisbee and two 6 packs of beer in the boot. A few minutes later, she found her own car parked four or five spaces farther away. She loaded her bags into her own car and drove to the police station to report her mistake. The sergeant to whom she told the story smiled and pointed to the other end of the counter. There stood four rather agitated men who were reporting a car-jacking by a crazy, elderly lady described as white, less than five feet tall, with glasses, curly white hair, and carrying a large handgun. No charges were filed apparently. A case of mistaken identity. If Jesus walked into Christ Church tonight would we recognise him? What would he be wearing? A 1st Century Roman toga? I think not. Would we recognise him? Tonight we begin a new series of sermons in the Book of Hebrews. We have entitled this “The Jesus I never knew”. 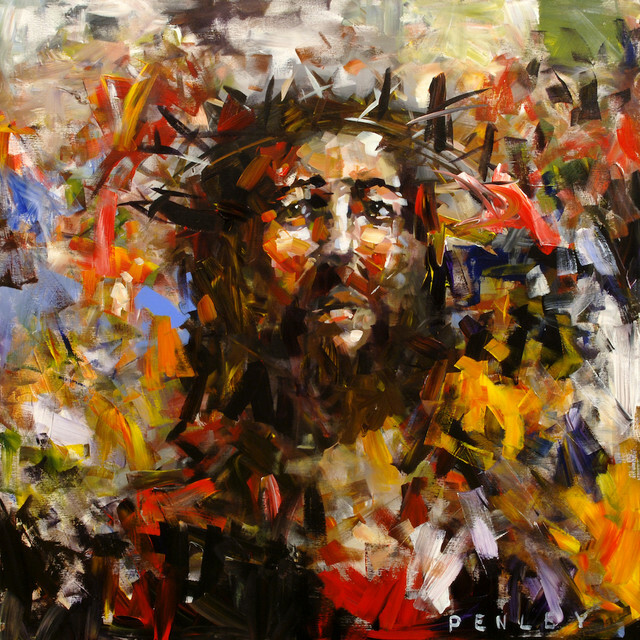 I believe that the image of Jesus many of us carry around in our minds has been sanitised. Its based more on popular misconceptions and Sunday school images rather than the Word of God. I believe our understanding of who Jesus is and why he came, will be radically enhanced by this 15 weeks series in the Book of Hebrews. If you want to get the most out of these sermons, I encourage you to purchase Raymond Brown’s commentary on Hebrews in the Bible Speaks Today series. It is available from the church bookstore. Tonight, as we begin, the first few verses are like the opening scene from the Bourne Ultimatum or Casino Royale. With dramatic speed we are introduced to more and yet more names and titles and roles of the Lord Jesus Christ, that, if we are awake, should really take our breath away. Tonight I want us to slow down and focus on the first three verses. Hebrews was written to a group of Jewish Christians who were wavering under intense opposition. They had begun to question whether Jesus really was the Messiah, whether he was truly divine. What we must bear in mind is that the Jews had a very high and distinct view of God. It was regarded as blasphemy to impute divine attributes to a human being. That’s why Jesus caused such controversy, and why it ultimately led to his death. That is why these introductory sentences are so startling. In three short sentences, the writer blasts away any notion that Jesus was just a meek and mild, Sunday school teacher who told children nice stories on the hills above the Sea of Galilee. We live in a generation that assumes and expects instant, clear communication. Millions are spent in the Media on persuasive advertising. Politicians and diplomats receive special training in communication, since a wrong word can bring down a government or spark off an international crisis. The letter to the Hebrews begins by asserting the greatest single fact about the Christian revelation: God has spoken to us through creation, through history, in the Scriptures, but supremely through His Son. Finally, perfectly and completely. In Jesus, God has closed the greatest communication gap of all time, that between a holy God and sinful mankind. In three short verses we are left in no doubt that apart from Jesus we cannot, repeat cannot know God. In three short verses we learn at least eight truths about Jesus. About who He is and what He has done. Hold onto your seats. In His day Jesus was acclaimed a prophet and this he did not deny. There is in his life and ministry a clear continuity with all that God had done in the Old Testament. Jesus didn’t come to break with the past but to fulfil it. Just as God sent wise men and angels to speak to people, so God sent Jesus, but this time it was different. For the combined message of all the prophets in the Old Testament spread over 2000 years was to prepare people to receive Jesus when he came. The Old Testament is full of prophecies of Jesus. There are at least 300. In this sense the Old Testament is unique among literature in the world. There is no other book like it. 27% of the OT is pure prophecy. Not people predicting what might happen, but God promising what was going to happen. Why? So people would know where to look, who to look for. You and I are unique. a surname, we have a passport number, a National Insurance Number, a Postcode. When I was a child on wet days I liked writing letters to myself addressed to 117 Beccles Road, Oulton Broad, Lowestoft, Suffolk, England, Europe, World, Solar System. Universe. An address helps to track us down, locate us from among 6 billion people. That’s precisely what these prophecies do in locating Jesus. God has indeed revealed Himself in many different ways in the Old Testament, but in Jesus God has spoken prophetically fully, decisively, finally and perfectly. He is the greatest prophet of all time. By the way, that little phrase, “In these last days” speaks of the superiority of His message, and the need for urgency in responding. We do not look back to Pentecost to find the early church. Abraham began the early church. Pentecost marked the beginning of the last days. That means we must be in the very last days. Jesus is coming back soon. If you haven’t surrendered your life to Jesus yet you are leaving it a little late. The scriptures are nothing less than God preaching. The question is, Is He getting through? Jesus is God’s prophetic voice. In John 10:30 it is recorded by eye witnesses that he had the audacity to say “I and the Father are one.” There was no ambiguity, no misunderstanding. Jesus was claiming to be one in essence, one in substance with God the Father. Those who heard him were in no doubt they had heard blasphemy. “You being a mere man claim to be God.” Jesus never denied it, just confirmed it by his sinless life, his astounding miracles, his profound teaching and ultimately his victory even over death. The Word of the Son is God’s final revelation, God’s last word, God’s last will and testament. Jesus is God’s prophetic voice because He is God’s Son. Hebrews is affirming nothing less than that Jesus is God in person. But there is more. Jesus is God’s prophetic voice, God’s Son, God’s creative agent. For the Hebrew people the “Shekinah”, the “glory of God” was the visible and outward expression of the majestic presence of God. When the law was given at Sinai, “the glory of the Lord” settled on the mountain. Later when the ark was captured the people lamented, “The glory has departed.” Just as the brilliance of the sun cannot be separated from the sun itself, so the Father and Son are inseparable. In Christ all the majesty of God’s splendour is fully revealed. He is the Shekinah of God. Jesus is God’s Prophetic voice, the Son, Creative Agent, Personified Glory, and…. Notice what came previously is all in the present tense, but what follows is in the past tense. This is to become the central point of the entire epistle so its important not to miss it. Jesus is ceaselessly, “the radiant light of God’s glory”… He continuously upholds “the universe by His word of power”. But when He gave Himself up on the cross, Jesus shed His blood once for all at a single point in time. No repetition of this saving act will ever be necessary, nor can we do anything to save ourselves. God’s love is a gift. Because Jesus was God’s unique sacrifice. How can we know for sure that our sins are forgiven? Because Jesus not only died, but He rose, and not only rose but ascended and not only ascended but is seated at the right hand of the Father. His work was completed, accepted, sufficient. But the right hand is also the place of rule and authority. Jesus is actively ruling over human affairs. Three short verses, eight tremendous truths. And yet this opening passage has so much more to say. The following verses show how Jesus is far, far superior to the angels. Let us summarise what we have discovered this evening. We began with Jesus the heir of all things in eternity who then created. We have ended once more in eternity with Jesus ruling, through the cross. We have been introduced to the Christ whose perfect sinless nature is a unique revelation, whose sacrifice is alone effective for our salvation, and whose authority in heaven and earth is without rival. On the evening of April 15th 1912, the cruise liner Titanic, weighing 46.000 tons, on her maiden voyage travelling at 22 knots hit an iceberg and sank. There were 1,500 crew and 2,340 passengers on board but only half that number of life jackets. 1,513 people drowned. One passenger John Harper was on his way to preach at Moody Church in Chicago. Trying to stay afloat in the ocean he drifted towards a young man holding onto a plank. Harper asked “Young man are you saved?”, The man said “No”. A wave separated them. After a few minutes they drifted within speaking distance of each other, and again Harper called to Him, “Have you made your peace with God?” The young man said “Not yet.” A wave overwhelmed John Harper and he was seen no more, but the words, “Are you saved?” kept ringing in the young man’s ears. Two weeks later a young man stood up in a Christian Endeavour meeting in New York. He told his story and said, “I am John Harper’s last convert.” “We must pay more careful attention, therefore, to what we have heard, so that we do not drift away.” Let us pray. This entry was posted in Sermons, Theology on September 11, 2016 by Stephen Sizer.